As Avid NASCAR fans ourselves we wanted to ensure that all fans of NASCAR had a spot where they could watch the races, eat fantastic food, take advantage of drink deals, and hang out with friends. Our bar & bistro is offering great specials on food and drinks during these adrenaline-pumping races. Join us for a few drinks, & enjoy an atmosphere that is inviting & comfortable. 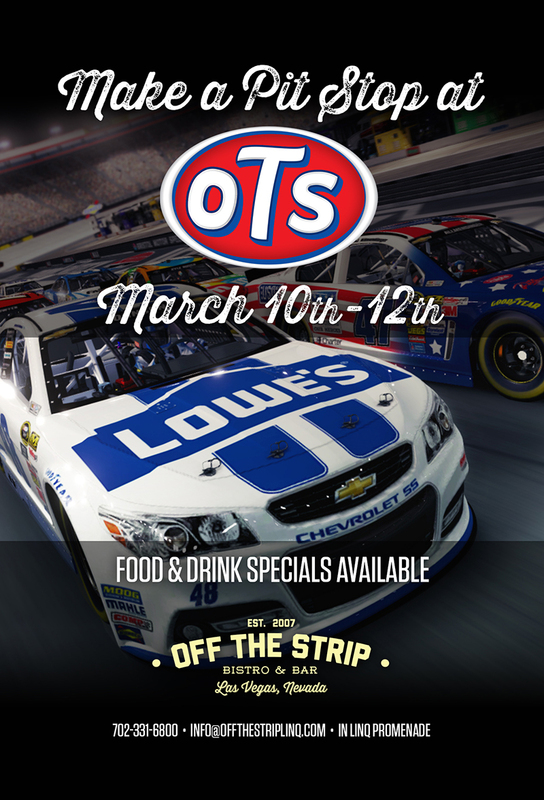 Come to watch the races, stay for the outstanding service & NASCAR specific specials.